So when that happens you’ll see an occasional post under the heading We Interrupt This Broadcast. Our second such essay in our look back at rock history deals with an important change in terminology used by trade papers which soon seeped into the public’s consciousness, initially offering a greater measure of respect for music stemming from and intended for the African-American community but inevitably over time something that has been used to re-segregate the very artists it was designed to credit. Human beings have a strange predilection for obsessive classification. They seem to take perverse pleasure in singling out a difference in two otherwise similar entities and using that as an excuse to divide them. There’s always a perfectly logical explanation for this tactic they claim, usually falling back on the self-incriminating defense of simplification, as if people would otherwise be unable, or perhaps more frighteningly unwilling, to make distinctions between things that others feel need to be divided. We always start with the obvious, such as with gender, presenting the case with scientific explanation revolving around a differing chromosome, something which is then exacerbated by the visual recognition in regards to the differences in physical appearance and reproductive roles as determined by that chromosome. The evidence appears so obvious… so indisputable… that for centuries nobody in their right mind debated the reasons for splitting males and females into different social classes. But then you narrow things further because that’s what people do. A tiger and a tabby cat are both felines, the species Felidae, yet they belong to different subfamilies, Pantherinae (the large wild cats) and the Felinae (smaller cats, up to and including wild cats like the puma). You then divide them even further by lineage and eventually you come to the conclusion that virtually no two cats are alike. Do you want to take living creatures out of the equation, try food (which in many cases once WAS living, but I digress). Humans aren’t content with simply calling food “food”, they subdivide it into meals, breakfast, lunch and dinner. Then into specific dishes and so forth. Of how about this – a day is a day, 24 hours to each one, but a Sunday and a Thursday are somehow considered different due to our habit of the same obsessive classification that plagues everything we come in contact with. All music is derived from a succession of notes. Aside from that agreed upon starting point we’ve spent centuries trying to convince ourselves and one another how different everything beyond that generality is. After all it’s played with different instruments, sung with different voices using different emphasis and meant for different purposes. What it all really comes down to, in music but also in life itself, is that our attempts at classification are designed to tell ourselves and others who and what we are. A classical music lover does not want to be confused with a folk music enthusiast. A gospel fan being lumped together with a metal-head would make each party cringe. But why? Is it because we’re determined to make a statement about each other or about ourselves? If there’s no differentiating between somebody singing about the Devil or the Lord then how are we to let the world know which side we fall on? We’re all guilty of it to a degree, as anyone reading Spontaneous Lunacy knows since we cover the history of rock ‘n’ roll and nothing but rock ‘n’ roll, often criticizing, hopefully falling short of ridiculing (but often not by much) the comparatively mild music of pop and big band jazz. So with the basic instinct of herding firmly established, of labeling “us” and “them”, we come to publications that made a living on it in the music world, most prominently Billboard magazine. The reason for this sudden critique of the habit of categorizing everything is that as of June 25, 1949 black music in America had a new “official” description. So said Billboard magazine the most successful and longest lasting chronicler of market tastes. As of that edition of the weekly magazine they changed the designation which charted the musical tastes of black listeners from Race Music to the less offensive and musically descriptive “rhythm and blues”. The idea, as most casual rock fans surely know, came from Jerry Wexler, who at the time was working for the magazine as a writer, four years before he was hired by Atlantic Records and went on to be one of the foremost label executives and music producers the world has known. 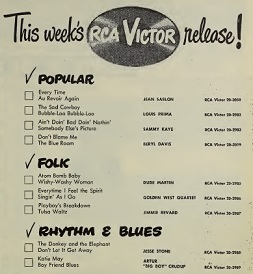 Actually though while Wexler DID push Billboard to adopt it as its catch-all term for the black oriented charts, it’s almost certain he got the idea from ads RCA-Victor ran in the magazine the previous summer which is where the two words were first connected in that fashion. Considering that RCA had very few black stars on their label makes it somewhat ironic, but they too seemed to be grasping for a different way to denote what black audiences were buying. The usual term to advertise these records prior to this was “Sepia”, or else they were simply called “Colored”, neither of which were exactly classy. But RCA dropped the ads after just a few weeks in July 1948 and it’d take eleven months before Wexler revived the idea and got it to stick. Wexler was rightly ahead of the curve culturally when it came to affording African-Americans more respect and it’s probably safe to say that he knew something which has always been true and which will likely continue to be true as long as humans use a common language and that is simply “words matter” because words create images which are then used to form opinion, often subconsciously, and those opinions over time become facts. By re-naming something which had been pretty derogatory towards its creators and had made the actual music itself secondary to the skin pigmentation of those who played it, his hope was that the new term would shift the focus back to the music itself while doing his part to help remove an odious term from common usage. As Wexler himself wrote at the time when explaining the shift – “Rhythm and blues is a label more appropriate to more enlightened times”. A noble thought… yet entirely misguided for one pretty obvious reason: The purpose of the charts!!! 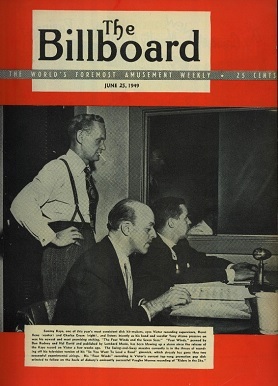 Billboard magazine had three charts, Pop, which was simply the most popular records of the moment, regardless of style and regardless of what demographics had the strongest support for them. Of course it turned out that it was primarily white middle and upper class adult listeners because that demographic had by far the most people in it as well as the most outlets (record stores, radio, etc.) to be used for their tabulations. The other two charts were for far less populace demographics – poorer rural whites, which was reflected in the Country & Western Charts, formerly Folk; and Race, now Rhythm & Blues, which showed what black listeners were buying. Usually those two constituencies didn’t have enough sheer numbers to get the best selling records in their fields onto the broader all-encompassing pop charts, so the magazine had given record distributors and retailers who serviced those areas charts of their own to better run their operations. Remember Billboard was primarily a trade magazine, it did not have a general public readership like it would in the future. 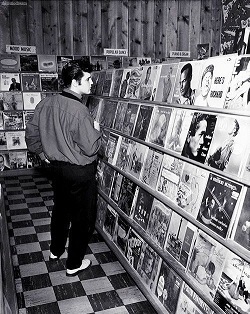 The guys who sold records in stores or had jukeboxes to fill weren’t necessarily music fans, they were just treating records like they would toothpaste, tires or trampolines in that they wanted to stock what would be most likely to sell and make them money. With new records coming out every week they needed a reliable tabulator to make it easy for them to order what was apt to be in high demand. So while the change from Race Charts to Rhythm & Blues was a definite aesthetic upgrade it didn’t alter the fact that what that chart was specifically designed to show was the choices made by black audiences. In other words, it was always racial. That was the entire point of having separate charts to begin with, no matter what you called it and how nicely you dressed it up. In the years since what’s been lost in the retelling of music history is that “rhythm & blues” was never intended to describe a specific STYLE of music. 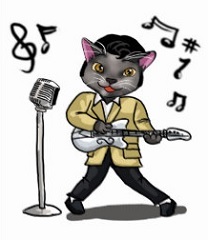 In other words, there is no such thing as rhythm and blues music! Its being referred to as such is an example of “Anthimeria” when a word designed for a specific use – in this case Billboard magazine’s chart to cover the entirety of the black music market – becomes a broader generic term (hence the legal definition of “Genericide” which means that word loses the power of trademark because it became analogous with the product itself). This happens quite frequently as anyone who needed to blow their nose and asked for a Kleenex, yet were handed a different brand facial tissue and nobody noticed or cared. Or how Xerox became the catch-all term for photocopying, Band-Aid for adhesive bandages and Photoshop as term for digitally altering pictures. Yet those were, and remain, brand names, even though they quickly came to be synonymous with the underlying product. While “rhythm and blues” wasn’t a brand name, it WAS a chart name and nothing more. Those charts included records by such diverse artists as Ella Fitzgerald, Charles Brown, Wynonie Harris, Louis Jordan, Jimmy Witherspoon and Paul Williams. The one thing they had in common – and the ONLY thing they were required to have in common – was the racial makeup of their audience! When black listeners bought releases by white artists in significant numbers those records rightly appeared on those charts as well. It wasn’t the style of music they were denoting by including them in these listings, only the purchases of the community itself in order to assist those who were in the business of selling records TO that community. A community that had been woefully underserved, largely ignored and often completely dismissed over the preceding years. So in 1949 the appearance of a less derogatory name was entirely welcome, a sign that society may be inching closer to treating everybody with respect. But in time the good intentions of those responsible were corrupted by the masses, as chroniclers of music began to re-segregate rock music (a style that had become fully integrated by the late 1950’s) by hauling the term “rhythm & blues” from the pages of a trade magazine into the popular vernacular for use as a musical description that served to separate and exclude all black forms of rock into another category entirely, thereby going a long way to redefining rock ‘n’ roll as a white style and in the process systematically denying black artists any claim to the music they invented and popularized and continue to play right up until today. In that regard Billboard magazine might have been better off to keep designating their charts by race. But then again considering that human beings will always look to classify things no matter what, usually in self-serving ways, chances are the same thing would’ve happened eventually, only the names themselves would’ve changed. Leave a reply on "WE INTERRUPT THIS BROADCAST TO BRING YOU: The Advent Of The Rhythm & Blues Charts"